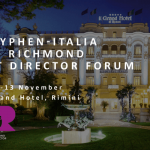 Hyphen-Italia is going participate to the Richmond E-Commerce Forum for the third year running. 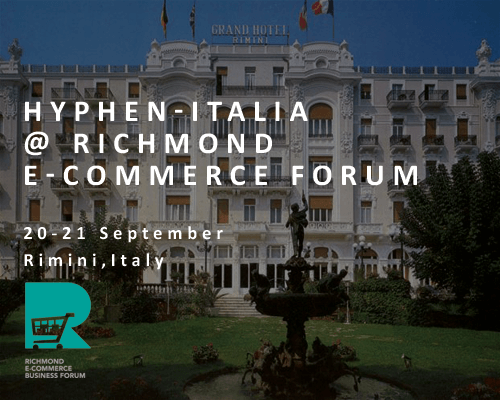 This event is focused on business matching in the E-Commerce field, and this year it is going to take place in Rimini, at the Grand Hotel on the 20th and 21st of September. The programme envisages one to one meetings, in which we are going to follow up with the Delegates some of the main problematics of the e-stores management. Furthermore, we are going to explain our digital transformation processes and the vision and the systems approach through which we develop our E-Commerce solutions. In fact, even when we design an E-Commerce project, we cannot overlook that it is an integral part of a fully-fledged flow that obtains data, information and digital assets from many business areas that collaborate and enrich the editorial contents of the product until their publishing. The HSL (Hyphen Still Life) and Chalco Brand Life solutions allow the organizations to manage the shooting workflow and the product publishing workflow in order to industrialize the product- photography-process, to acquire the images connected to the other data of the corporate, to support the editorial activities of copywriting, translation and tagging at best, and, finally, to manage the subsequent stages of multichannel adaptation and delivery, through automatic workflows. 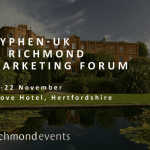 The HSL new technology, presented this summer during the first Hyphen-Digital@Workshop, enables to create new innovative and interactive formats, that guarantee high performances in terms of browser placement and a big impact on the customer experience for a high-quality communication. Our digitization approach has been already adopted by many companies and brands of the fashion, luxury, industry and retail sectors, and it allows the organisations to manage in an integrated way the communication materials through all their sales channels – online and offline – giving to the customer a consistent and uniform shopping experience and a durable relationship with the brand.